Last winter I posted here about a fun fill-in-the-blank activity I did with Cutie Pie. What I didn’t post was that in first grade, he came up with a fill-in-the-blank Valentine for his teacher! I wish I had kept a copy of what he made her, but it was a simple, cute and creative little gift that his teacher truly appreciated! We started by me asking a few things he liked about his teacher. (She told funny jokes. She had red hair. She liked minions. etc) Then I asked what he liked about school. And finally I asked about what things are in his classroom. Based on what he told me we made up simple sentences that he could write out. I wrote these down for him to copy later. Then he decided which words he wanted to leave out of his sentences. He drew a line underneath those words. We made sure to place the words for the teacher to choose from in a box at the bottom of the paper. I think he added a few funny ones for her to choose from, too! Lastly, we rolled the paper up and tied it with a red ribbon and a traditional Valentine label (with To: and From: on it) for him to take to school with the other Valentine’s for his friends. Cutie Pie’s teacher loved this little activity created just for her! Just imagine the fun that can be had in true Mad-lib form, with the parts of speech listed under the lines rather than providing a word-bank. Take a look at the Mad-libs provided on the official page, (even download a few!) to get ideas! 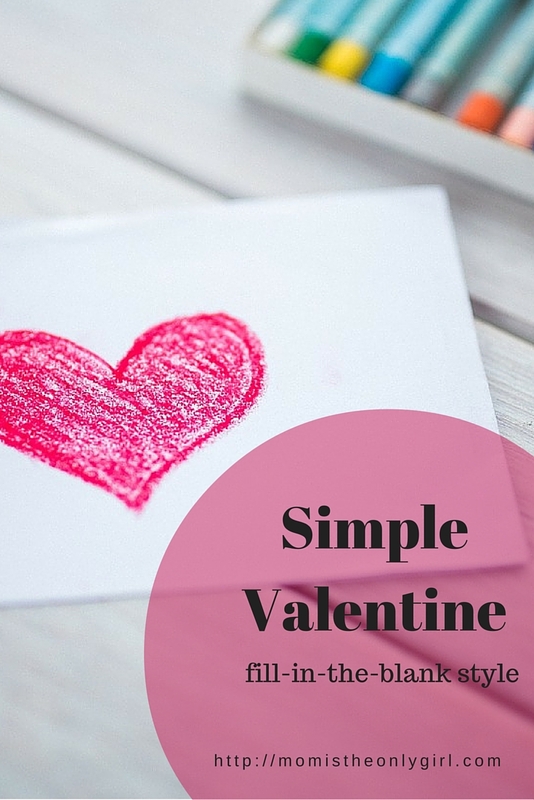 Such a fun, creative and simple Valentine’s project for a teacher! *The link provided is for reference purposes only and is not an affiliate link.